If you are looking for a good movie to see, Disney’s Bolt is amazing! A good story full of laughs and very cute characters, suitable for people of all ages. 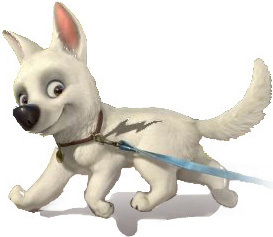 If you want to read more about how the movie was first going to be “American Dog,” or to see clips from Bolt visit: bolt–trailer.blogspot.com.